What is the best time to visit Mahabaleshwar? Mahabaleshwar is one of the hill stations in Maharashtra where weather remains pleasant throughout the year. However, the best time to visit the place is from September to March. Which are the top 5 must visit places in Mahabaleshwar? Venna Lake, Mapro Garden, Pratapgad, Lingamala Falls and Elephant’s Head Point are the top 5 places to visit in Mahabaleshwar. How can I get attractive discounts on hotels in Mahabaleshwar? For hotel booking, one can go through online travel sites like Cleartrip, where all types of hotels in Mahabaleshwar are available from budget hotels to 5-star hotels. You can also use a valid coupon code to avail the best deal. Price comparison is essential before making the final booking. Can unmarried couples stay in hotels in Mahabaleshwar? Very few hotels in Mahabaleshwar will allow unmarried couples to stay. However, it is essential to carry a valid ID proof (such as voter ID, Passport, Aadhar card, etc). You may have to show your ID at the time of check-in. How can I find hotels near Elephant’s Head Point? field option on the Hotels Page. The lists of hotels near the Elephant’s Head Point will be displayed in the search results, and you can book as per your need and budget. How do I book budget hotels in Mahabaleshwar? 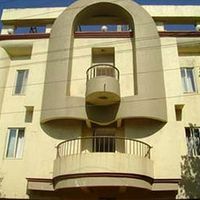 Budget hotels in Mahabaleshwar are quite popular and offer comfortable stay at affordable prices. 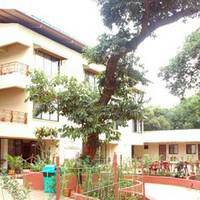 Some of the popular budget hotels in Mahabaleshwar are Sagar Villa, Hotel Prity Sangam, Hotel Sapna and many others. Do Mahabaleshwar hotels offer Wi-Fi facility? 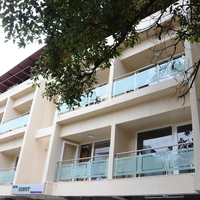 There are several hotels in Mahabaleshwar, which offer Wi-Fi access as part of the stay. For hotels with Wi-Fi , one should contact the hotel and get confirmation on this matter before booking. What can I buy from Mahabaleshwar? You can buy leather goods, tribal pieces of art, Slippers, walking stick, strawberries, gooseberries, raspberries jams, marmalades and jellies. Can you tell which are the popular shopping areas in Mahabaleshwar? Town Bazaar, Mapro Garden and Imperial Store are some of the most popular shopping places in Mahabaleshwar. Can you list the top restaurants in Mahabaleshwar? The best five places to eat are Mapro, The Grapevine, The Olive Garden, Bagicha Garden and Royal Garden. What are the famous sightseeing spots in Mahabaleshwar? The most famous sightseeing spots in Mahabaleshwar are Mahabaleshwar Temple, Venna Lake, Pratapgarh Fort, Dhobi Waterfall, Bhilar Waterfalls, Connaught Peak, Elephant’s Head Point, Catholic Church, Helen’s Point and Falkland Point. What are some must do things in Mahabaleshwar? Apart from visiting the Mahabaleshwar Temple, one can also visit other temples like Krishnabai and Panchganga temple. One can even enjoy boating in Venna Lake and horse riding on Table Land. Camping is also one of the things to do in Mahabaleshwar . Can you suggest a few hotels with restaurant in Mahabaleshwar? Some of the hotels with restaurant in Mahabaleshwar are Hotel Sunny International, Sagar Villa, Hotel Sangam Executive and many more. What activities and experiences can I enjoy in Mahabaleshwar? One can indulge in boating, horse riding, camping in Mahabaleshwar. Apart from these activities, one can visit the strawberry farm to eat see and eat strawberries. 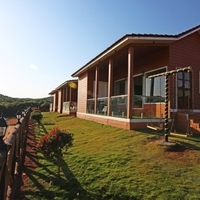 How to book a room for international guests near Elephant’s Head Point, Mahabaleshwar? 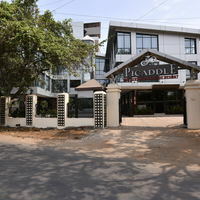 If you are looking for stay options near Elephant’s Head Point, then Hotel Saket Plaza, Hotel Balaji Classic are some of the great options to consider. Go to the hotels in Mahabaleshwar page on Cleartrip website, and select Elephant's Head Point from the landmark dropdown. Select the hotel from the list of options and the book the one best suited for international guests. Are there any Club Mahindra Hotels in Mahabaleshwar? 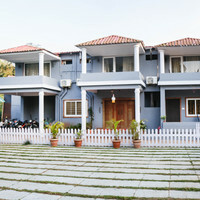 Club Mahindra Mahabaleshwar Sherwood is one of the Club Mahindra Hotels in Mahabaleshwar. If you are looking to book a Club Mahindra hotel, then use the Cleartrip app or website to avail the best deal at the best price. From where can I book a good resort for a day outing in Mahabaleshwar? Book the best day outing at a resort in Mahabaleshwar with your friends and family using Cleartrip and avail amazing discounts deals. 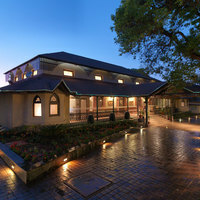 Can you name some 3-star hotels in Mahabaleshwar? 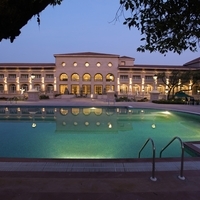 Some of the popular 3-star hotels in Mahabaleshwar are Bella Vista Resort, Shreyas Hotel, and TGL Resort and Spa. Book your travel and accommodation through Cleartrip and get instant cashback on bookings. Can you list some hotels in North Mahabaleshwar? In North Mahabaleshwar, Hotel Sunny International, Hotel Prity Sangam, Hotel Laxmi are few of the options that you can consider. For more details, you can choose North Mahabaleshwar from the ‘Hotels By Region’ drop-down hotels in Mahabaleshwar page on Cleartrip. Can you name some hotels with gym in Mahabaleshwar? United 21 Mahabeshwar, Ramsukh Resort and Spa are few hotels with gym in Mahabaleshwar. 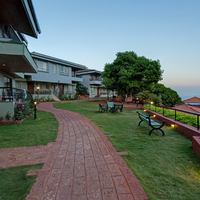 What are the 5-star hotels to stay at Mahabaleshwar? 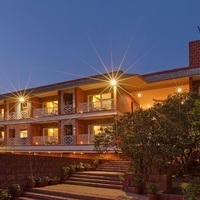 Looking for 5-star hotels in Mahabaleshwar? Then you can go for options like Regenta MPG Club by Royal Orchid Hotels and Le Meridien Mahabaleshwar Resort & Spa. How far is Mahabaleshwar Temple from Panchgani Road? The total distance between Mahabaleshwar Temple and Panchgani Road is 38 km. The travel time between the two places is close to 1 hour. Which are the best pubs in Mahabaleshwar? Angaare, The Tarang Bar, The Electrique Mist, Treachers Wines and Bar & Pub at Brightland Holiday Village are some of the most popular pubs in Mahabaleswar. What are the top places of interest in Mahabaleshwar? Mahabaleshwar Temple, Venna Lake, Pratapgarh Fort, Dhobi Waterfall, Bhilar Waterfalls, Connaught Peak, Elephant’s Head Point, Catholic Church, Helen’s Point and Falkland Point are few top places of interest in Mahabaleshwar. Can you tell me about some 4-star hotels in Mahabaleshwar? 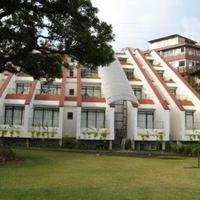 Some of the 4-star hotels in Mahabaleshwar are Keys Prima Evershine Resort, Citrus Chambers, and Saj Resort. All of these hotels are equipped with a lot of amenities. For booking your travel and stay, log on to Cleartrip website. How is the nightlife in Mahabaleshwar? Mahabaleshwar nightlife is not as happening and vibrant as compared to metropolitan cities, but there are few places where you can enjoy your evenings. The Electrique Mist is one nightclub where you can enjoy scrumptious food along with great music. Are there any budget hotels in Mahabaleshwar? 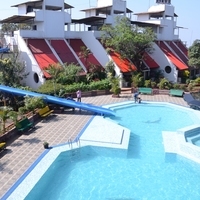 Yes, you can find many budget hotels in Mahabaleshwar. 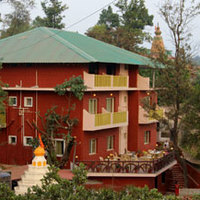 There are some budget hotels that offer the pay@hotel facility like Mahabaleshwar resort. 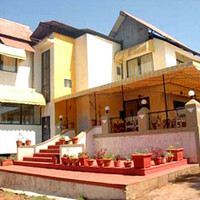 Check out Cleartrip.com for the best deals and to book the best budget hotels in Mahabaleshwar. 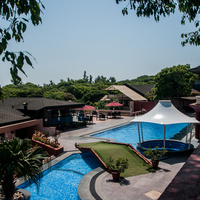 Is pool facility available at hotels in Mahabaleshwar? 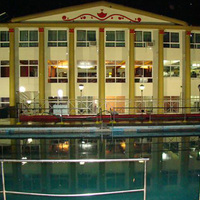 There are few hotels in Mahabaleshwar which has pool like Hotel Sunny International, Hotel Saket Plaza, etc. 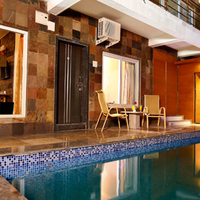 For more hotels with pool in Mahabaleshwar, visit Cleartrip website and book the best hotel that fits your requirements and budget. Do hotels in Mahabaleshwar offer bar facility? Yes, there are few hotels in Mahabaleshwar which offer bar facility like Bella Vista Resort and Shreyas Hotel. 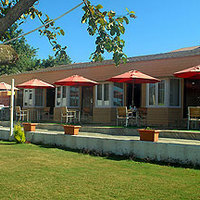 Check out more hotels with bar on Cleartrip. Where can I go for weekend getaway from Mahabaleshwar? From Mahabaleshwar, one can visit Mumbai, Panchgani, Nashik, Alibag, Goa, Nagpur, Pune, Khandala, Surat and many more places over the weekend.